We have STANDARD size American Eskimos only! Eros American Eskimos has, on average, only about 2 litters per year. 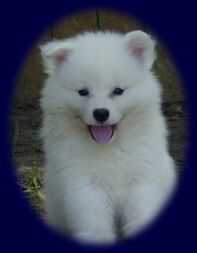 Each breeding is carefully planned to produce the best quality Eskie possible. We carefully screen each prospective new home of our puppies and reserve the right to refuse anyone who, in our opinion, will not or can not provide a good, safe home for their new "Eskie". All companion puppies are purchased under a spay/neuter contract. 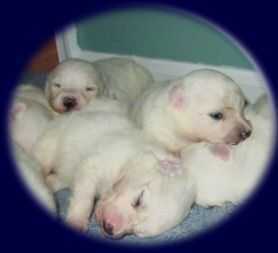 Please visit our "About Eskies" page to learn about this fabulous breed. If you feel this is the right breed for you, please complete our puppy questionnaire (link below) after reviewing our process for obtaining a puppy. You are encouraged to contact us with any questions you may have. 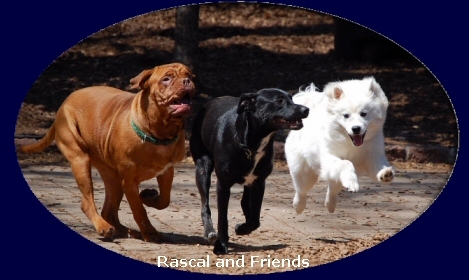 Please scroll down to follow the link to request our puppy questionnaire. 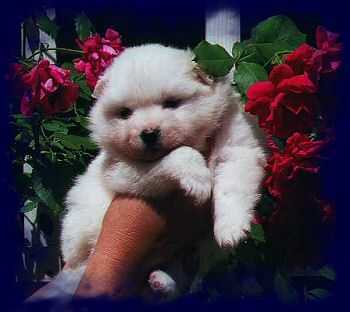 Step #1: Review all pages of the web site to learn more about me, my Eskies, and my breeding philosophy. 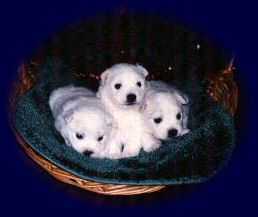 Step #2: If you are interested in a puppy, simply email me for the on line questionnaire. Step #3: We will review your responses on the questionnaire in order to learn more about you, your family, and your lifestyle. 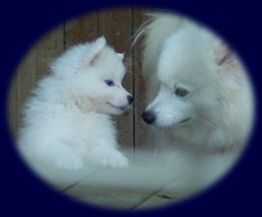 This will help us to determine if an Eskie is the right breed for you and your family. Because of our limited availability of puppies, we usually have a waiting list. Step #4: After reviewing your questionnaire, we will contact you concerning the availability of a puppy. Once a commitment has been made, we will send you a copy of our contract. The contract contains our health guarantee, what we expect from you as new owners, and what you can expect from us as your breeder. A NON-REFUNDABLE deposit must be sent back with the signed contract in order to reserve your puppy. Remember, no puppy is reserved until a signed contract with a deposit is received...no exceptions. Step #5: Once your contract and the deposit are received, arrangements for getting your new family member will be determined. Please note; we do not allow any puppy to leave for their new homes until they are at least 10 weeks old. Often times, they are 12 weeks before they leave. NO EXCEPTIONS!!!!! Please Note: We select the puppy you get based on the responses in your questionnaire and the personality of each puppy in the litter. We want the transition from our home to yours to be as smooth as possible for you and our puppies. It is important that your home is ready to accept your new family member ahead of time. Additionally, we feel that a good working relationship between a new puppy owner and the breeder is paramount. Therefore, we will maintain contact with you for the life of the puppy to ensure all is well and to be there as your breeder to assist you in any way needed. Click the link below to request our puppy questionnaire.